French Toast Casserole with Bena and Jerry's Vanilla Ice Cream. 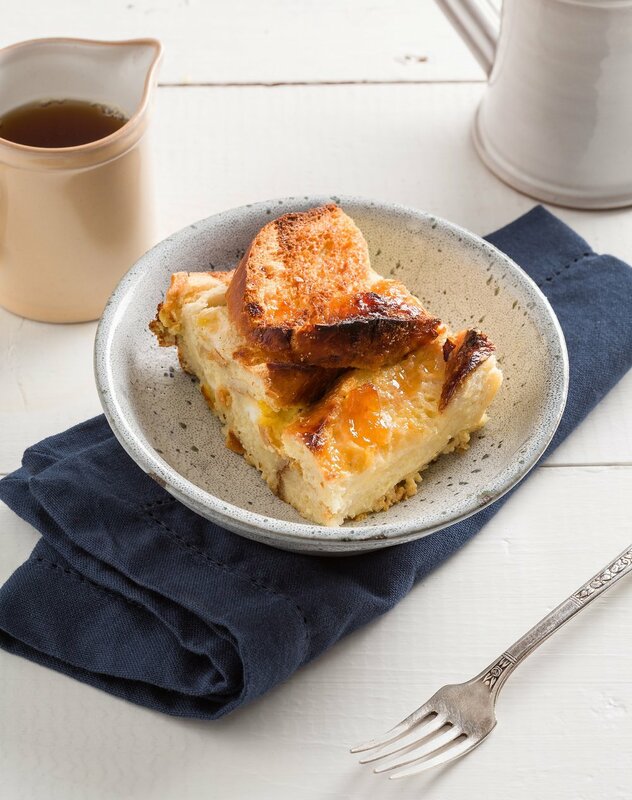 This rich and creamy custard casserole was created in the kitchen of Ben & Jerry’s by Flavor Guru Eric Fredette. This super easy dish is delicious whether served for breakfast or dessert. Note: The bread needs to soak in the custard 1 day before you intend to bake the casserole. Lightly grease an 11-by-7-inch baking pan. In a large bowl, whisk together the melted ice cream, ginger spread, eggs, and milk. Place the bread slices in the pan in a single layer, slightly overlapping them. Pour the custard evenly over the bread, then gently press on the bread to allow it to absorb the liquid. Cover with plastic wrap and refrigerate overnight. Preheat the oven to 350 degrees Fahrenheit. Remove and discard the plastic wrap and place the pan in the oven. Bake until golden brown and the custard is set, about 55 minutes. Let cool slightly. Drizzle with maple syrup and top with ginger spread, if desired, and serve. Tip: The best way to melt the ice cream is to refrigerate it overnight. Make sure to put the container of ice cream on a plate or in a bowl to catch any leakage.